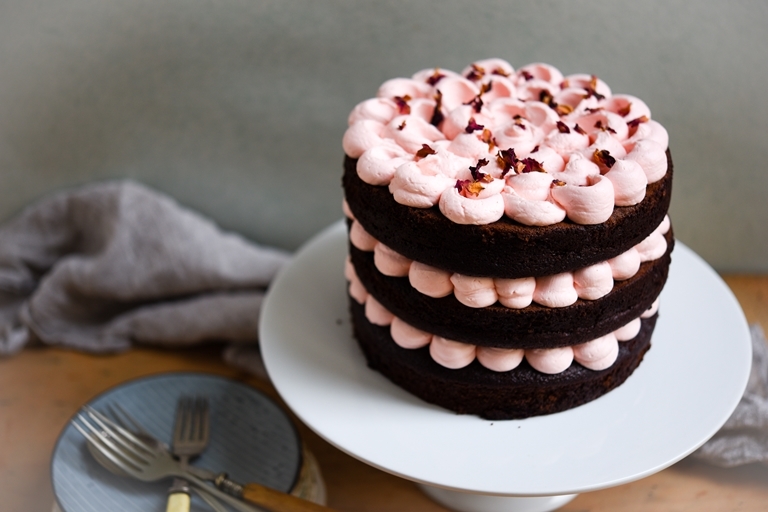 This beautiful raspberry and rose chocolate layer cake recipe is perfect for a celebration. 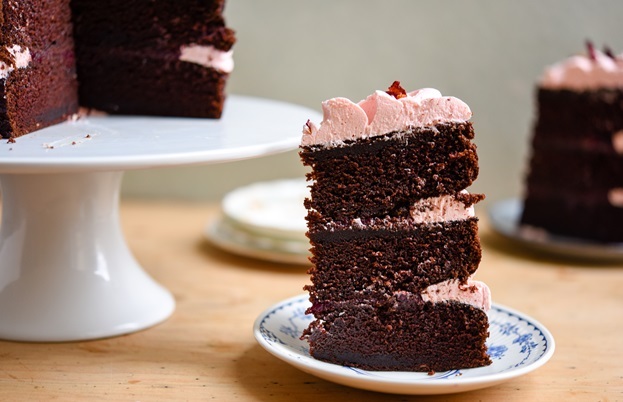 The raspberry compote centre ensures that the flavour of rose is not overpowering, with both flavours complementing the rich dark cacao sponge perfectly. Mother’s Day is rapidly approaching and it’s always lovely to give something homemade. 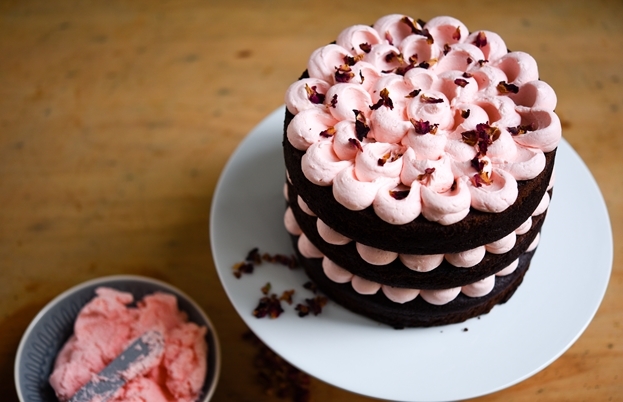 Chocolates, flowers and cakes are all popular gifts for mums, so why not make something that combines all three in this raspberry and rose chocolate cake, a delicious moist chocolate cake made with cacao powder, filled with raspberry compote and decorated with rose Swiss meringue buttercream and rose petals. Cacao powder is non alkalised and prepared naturally which means it has higher levels of flavanols, antioxidants and proteins than Dutch processed cocoa powder. So you’ll also be looking after your Mum when you give her this cake. This cake can be made over a couple of days if you are short on time. The compote will keep for at least a week, and the chocolate cakes can be made the day before and wrapped in cling film when they’re cool. The buttercream has to be made and used right away though, so make sure you plan ahead.